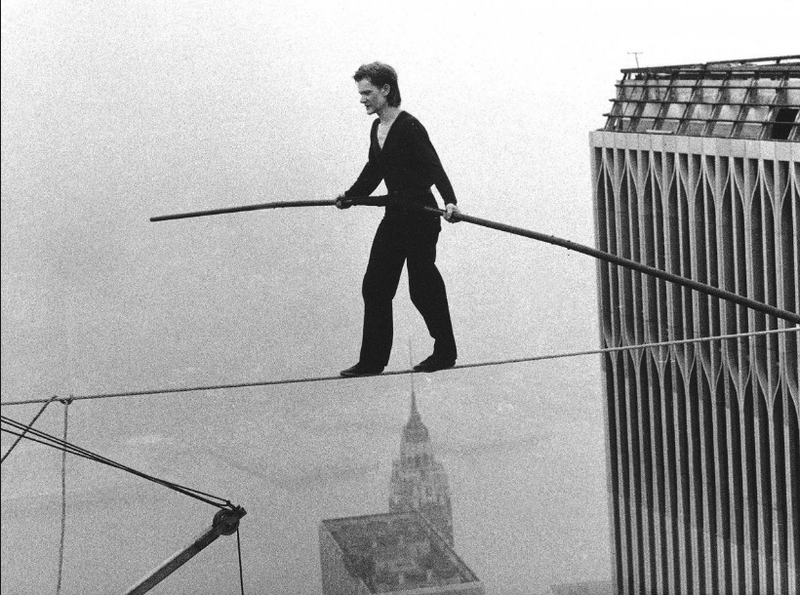 CRAZY OR GENETICALLY INCLINED?—Philippe Petit, who is still alive and well, became known to New Yorkers in the early 1970s for his frequent tightrope-walking performances and magic shows in the city parks, especially Washington Square Park. Petit's most famous performance was in August 1974, conducted on a wire between the roofs of the Twin Towers of the World Trade Center in Manhattan, a quarter mile above the ground. The towers were still under construction and had not yet been fully occupied. He performed for 45 minutes, making eight passes along the wire, during which he walked, danced, lay down on the wire, and saluted watchers from a kneeling position. Office workers, construction crews and policemen cheered him on. Did his DNA enable him?—Wikipedia. In case you missed these stories. IS RISK TAKING IN YOUR DNA? Click here. DO THIS AT 50 AND MAYBE YOU’LL LIVE TO BE 100. Click here. REAL REASONS WHY WE ALL PROCRASTINATE. BUT IT’S SUCH A COMPLEX ARTICLE, I’D SKIP IT IF I WERE YOU. Click here. WHAT COMATOSE MAN DREAMT ABOUT FOR THREE WEEKS. Click here. THE WONDERS OF NAPPUCHINOZZZZZ! Click here.